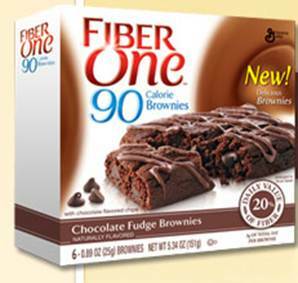 General Mills Pushes Magic Brownies. Plus 5 Tips for Evaluating Bold Marketing Ideas. – StratGo Marketing. Plug-in marketing department services. General Mills Pushes Magic Brownies. Plus 5 Tips for Evaluating Bold Marketing Ideas. You’re in a conference room being pitched ideas for the marketing rollout of your new product and the recommendation is to use iconic marijuana-smoking characters from a 1970s movie. What do you do? Let’s talk about General Mills’ marketing – Magic Brownie Adventure Movie – to promote its new Fiber One Brownies featuring actors Cheech Marin and Tommy Chong. First, it had to be a tough, bold decision to move forward given the association to the actors’ iconic 1978 movie, Up in Smoke, and its drug theme. But it’s that very association that forms the essence of the marketing idea here, a pretty powerful one at that. Second, marketers are often criticized for playing it too close to the vest and not taking chances, and then when they do step out of the proverbial comfort zone, they run the risk of getting lambasted from all sides. I’m particularly interested in this marketing as a former fiber ingredients marketer to CPG companies, including General Mills. GM has done a nice job with its Fiber One marketing (Cardboard no. Delicious yes.) and this campaign takes it to another level. As a marketer, I doubt I’d have the you-know-what to green-light a decision to launch a marketing campaign that plays off a drug-related theme. Whether you like the idea or not, give the GM team lots of credit for making a very bold call. Scenario plan for potential backlash and make sure you and your company are willing to absorb and withstand any potential criticism. If you want to stand out, well, sometimes you really have to stand out. I’m a little behind on my blog reading and just saw this — surprising to me that it got thru the corporate vetting process. Not sure I love what it does for the brand, but bold nonetheless.